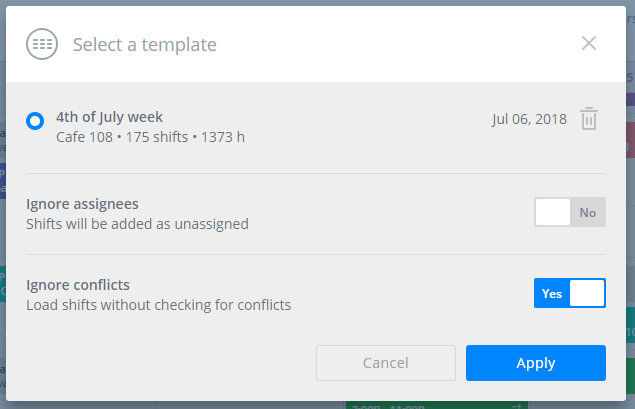 How do I create shift templates? 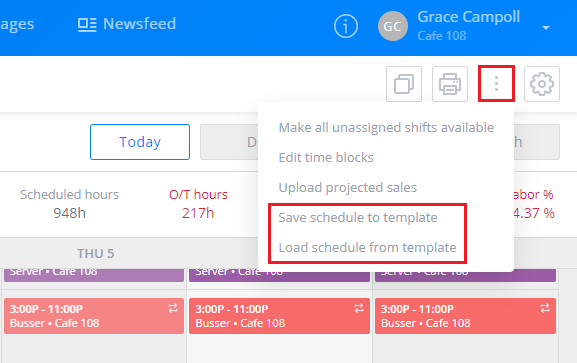 Once you have a schedule built just the way you want it, you can click the options button (3 dots) at the top right of the page to save the template (Day and Week view only). 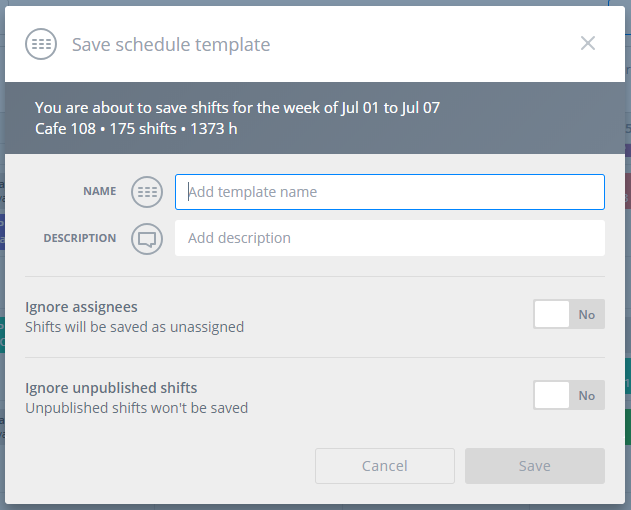 You can also apply filters to save templates for specific locations, positions, groups, or any combination you choose.